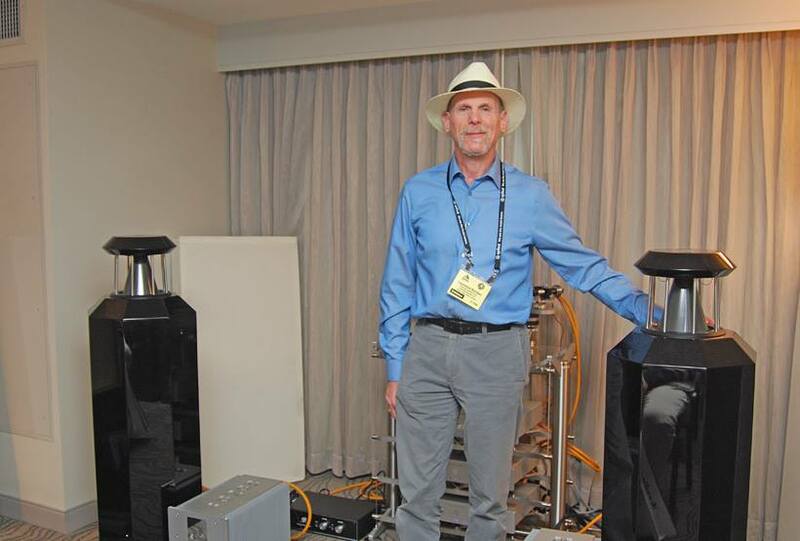 Larry Borden, president of our US distributor Distinctive Stereo in his room at the Rocky Mountain Audio Fest last week with the German Physiks Borderland Mk IV loudspeakers he was demonstrating. Our thanks to Larry for his hard work at the show. Larry is easily recognizable at shows by his Panama hat. Find a Panama hat at an audio show and Larry is usually underneath it. If you missed Larry at the Rocky Mountain Fest, he will be at the Axpona Show in Chicago next April, where he will be demonstrating both our Borderland Mk IV and HRS-130 loudspeakers, as well as our new Emperor Extreme electronics..
Our thanks also to Miles Astor of Positive Feedback online for this photograph.